After a long struggle: Austria home opened up "the story"
a ceremony will be opened in Vienna, the "house of history Austria". The speech was composed by the Nobel laureate and brain researcher Eric Kandel. The Vienna-born, fled in 1939 with his family from the Nazis in the United States. Due to illness he cannot come, his Text is read. 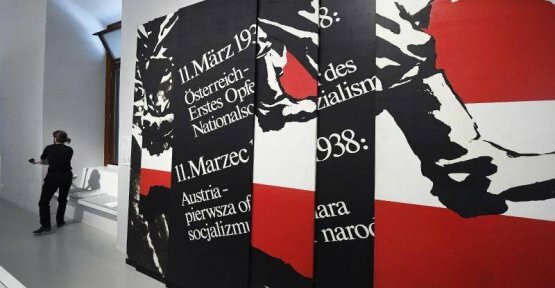 Under the title "departure into the Unknown - Austria since 1918," the first historical Museum in the country critically and intensively with the events of the past 100 years. It also illuminates the past decades the role of the country at the time of the Nazis. The Alpine Republic, which belonged since 1938 to Nazi Germany, has seen for a long time as the first victim of the dictator Adolf Hitler, the own contribution to the crimes of the Nazis, but mostly denied. The establishment of the Museum, which was set up in the Hofburg in Vienna, had gone decades of discussions. At around 800 square meters, many objects illustrate the Plight of the post-war years, but also the economic advancement and success in the Sport.